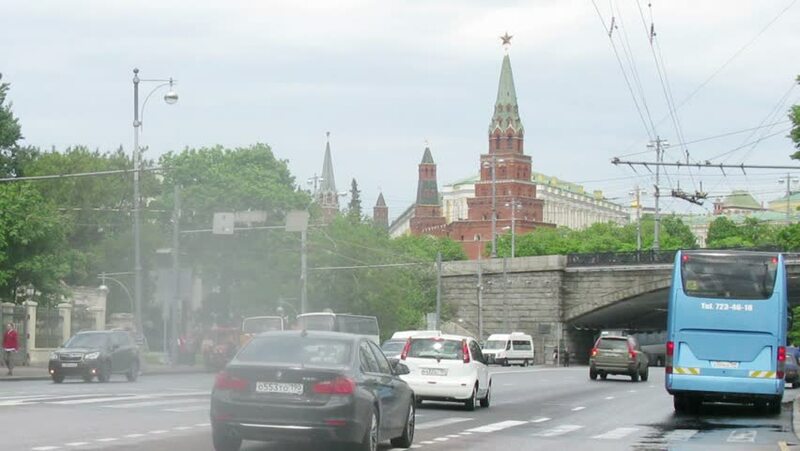 MOSCOW - MAY 17, 2014 (Time lapse): Cars driving past the Kremlin and then past the MSU building, May 17, 2014, Moscow, Russia. hd00:1528.07.2016 Moscow. Kremlin embankment. Navigation on the Moscow river.